Established in 1998, Mengke has become one of the professional manufacturer and supplier of pool fence and related products. After several years development, we have become one of the best supplier of pool fence in China. We have advanced equipment, complete products, high efficient production and fast delivery, all these gain our customers’ trust and they establish long term cooperation with us. 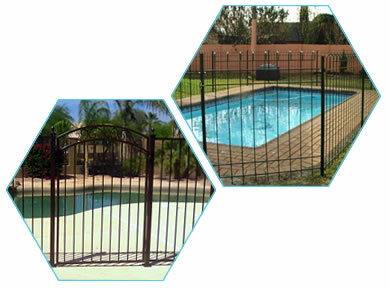 This types of pool fence complies with Australia standard and suit for the Australia pool or spas. It has two type: square frame with steel wire infill pool fence and all round pipe pool fence. They are all made of hot dipped galvanized wires or pipes to ensure the long service life. 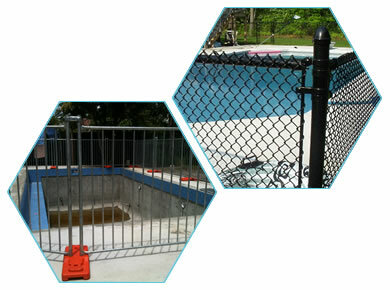 Chain link pool fencing can be manufactured from galvanized or PVC coated steel wire. 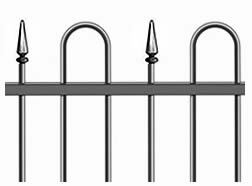 The main feature of chain link pool fencing is easy to install and uninstall. It can be rolled and save shipping space and cost. So it is relatively economical than other types pool fence. The largest feature of aluminum pool fencing is lightweight but solid. So it is cheaper than the galvanized or other steel material pool fencing. 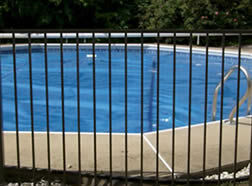 Additional, the aluminum pool fencing has outstanding corrosion and rust resistance performance. It is suitable for those customers with low budget. Temporary mesh pool fencing is mainly manufactured from hot dipped galvanized pipes. 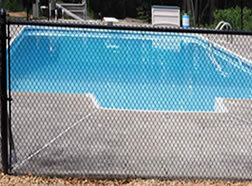 The feature of temporary mesh pool fencing is removable. It can be used anywhere you wanted it. There is no any bolts ans nuts when install them. It is suitable for the temporary pool or spa construction site. 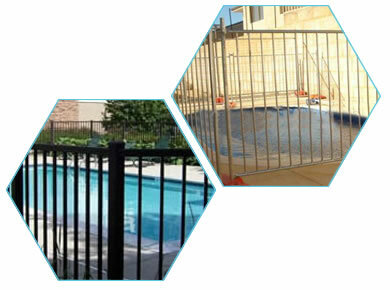 Compared with temporary mesh pool fence, the wire pool fence is a type of permanent pool fence for your pool or spa. It can be made of galvanized or PVC coated steel wire. The colors of wire pool fence are various, including white, green, blue and any other colors you want. 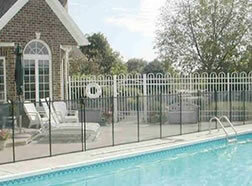 This type of pool fence has best decorative performance than any other type pool fence. It can be made of aluminum or steel materials with various colors and designs. Except for the common type, we can customize your own style for your residences or clubs. We have lots of other types of pool fence, you can browse our website and find the perfect one suitable for you. With so many kinds of pool fence, we are waiting for your inquiry and if you have any other questions, just contact us and we will contact you as soon as possible. If you want to customize your own style, just send us your requirements or drawings, you will get the most professional answer and satisfied reply. Just contact us via info@poolfencingsupplier.com.